Renovations, new homes and infrastructure projects are frequently delivered late. These delays anger customers, decrease word of mouth referrals and cause contract penalties. Let’s take a look at a few examples in the news. Construction penalties in Edmonton, Alberta. As a result of construction delays, the city demanded penalty payments. These may prove disastrous for the contractor. According to a news story: “The Quesnell Bridge, a $161-million project, was years behind schedule by the time it opened in 2011 […] The contractor went bankrupt paying penalties to the city for those delays.” In other cases, contractors lost potential bonus payments when they failed to complete the project ahead of schedule. Since 1995 the global average value-added per hour has grown at around a quarter of the rate in manufacturing. According to McKinsey, no industry has done worse [...] In France and Italy productivity per hour has fallen by about a sixth. Germany and Japan have seen almost no growth. America is even worse: there, productivity in construction has plunged by half since the late 1960s. With these productivity challenges, construction leaders need every tool they can obtain. Part of the answer lies in using technology to support better management. Managers need high quality information to manage their operations. In a very small company, you might be able to operate without reports. With a handful of people, you will know each person working for you. That casual approach falls apart as you start to grow. If you have staff spread across multiple construction projects, how do you track all that work? Using a daily report process makes it possible. By bringing problems to light quickly, your managers and staff have the opportunity to solve problems more quickly. Let’s look at two ways you can implement daily reports to increase productivity. Project managers are trained to use processes and systems to deliver complex projects on time. To support their success, equip project managers with training (e.g. Project Management Institute certifications) and technology (e.g. Microsoft Project). Materials out of stock. Running out of wood, concrete and other materials at the construction site slows down everything. Ask your workers to report in when they see inventory levels are low. Broken tools. Construction tools eventually wear out from use. The faster you learn about that issue, the faster you can have the problem fixed. Schedule requests. Provide a space on a daily report for workers to request time off for vacation, sick leave and other purposes. With mobile forms, you can have these requests automatically sent to human resources or the appropriate manager. 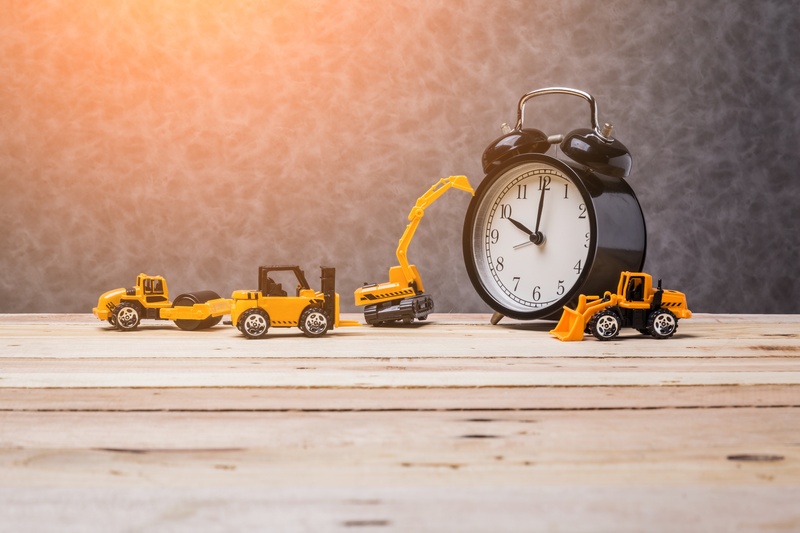 What if your construction project is already on schedule? First, congratulations! Second, it is time to take stock of broader considerations. In contrast to a delayed project, it is more difficult to detect when clients are starting to become upset or angry. Complex questions. Some questions or requests might require investigation (e.g. “can you change this room’s paint and stay on schedule?”). Send those questions back to the head office for proper analysis. Employee commendations. Was the client particularly impressed for the work one of your employees did? Make sure that person’s contribution is recognized in the daily report. It’s easy to focus on problems and negative news, so use your daily report to keep track of positive developments. Paper Forms or Digital Daily Reports? If you are still using paper reports on your construction site, it is time to leave that practice behind. Digital forms allow you to get information from the jobsite in real-time, which can help avoid reworks and costly errors. Plus, mobile devices are likely to already be on the jobsite, making it simple to use them in your workflows. Make completing your daily reports easy with mobile forms.